I hope you are having a fabulous day! 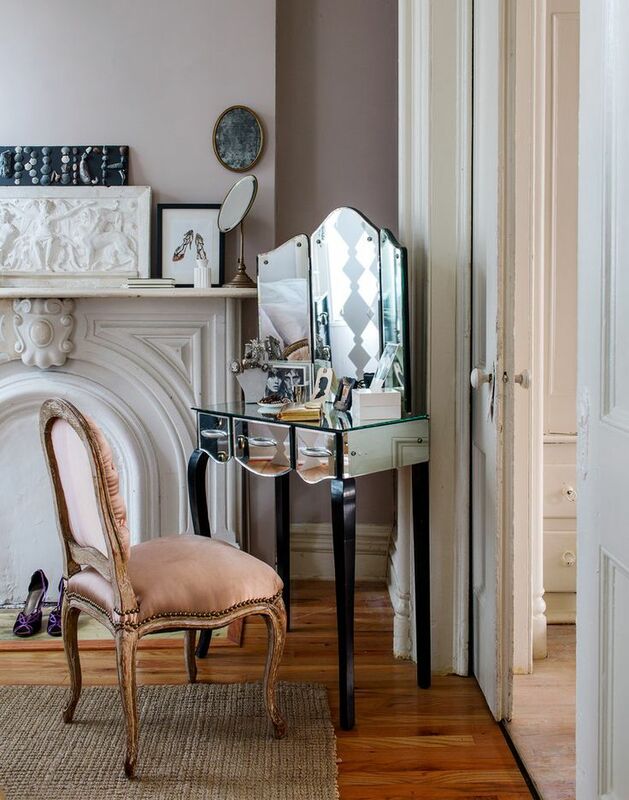 I love a pretty vanity in the bedroom or bathroom and today I want to share a few beautiful vanities, from elegant to girly chic with you! I hope you love them as much as I do! J’espère que vous passez une formidable journée! J’ai un penchant pour une jolie coiffeuse dans la chambre à coucher ou la salle de bain, alors aujourd’hui, j’aimerais vous montrer quelques unes bien élégantes et féminines! J’espère que vous les apprécierez autant que moi! 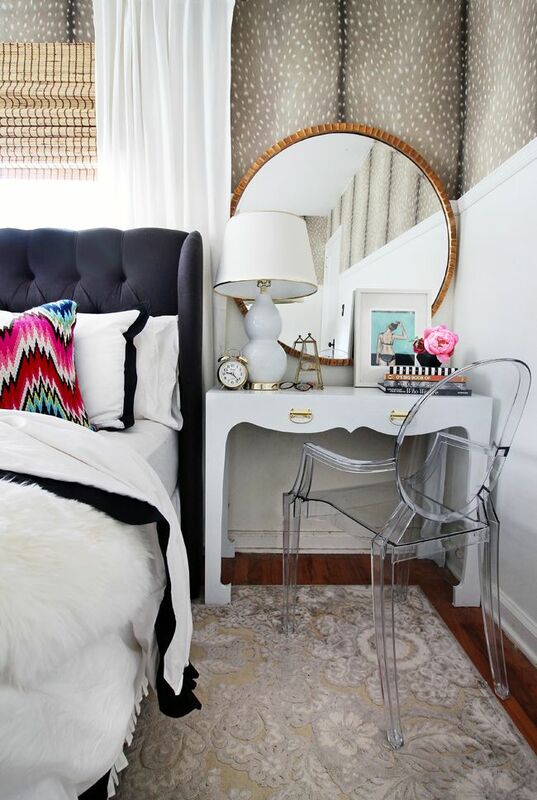 I love the idea of the venetian mirror over the window! Which one is your favorite? Thanks for visiting and make it a great day! 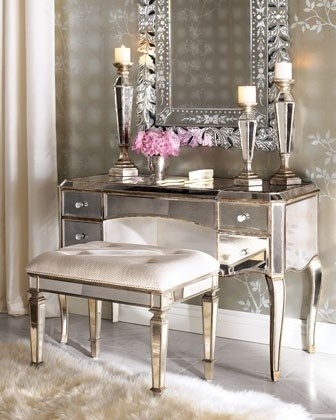 I don’t have a vanity in my bedroom but this makes me want one so bad. So beautiful. Aren’t they so beautiful!? Thank you for stopping by my dear! Great pics! 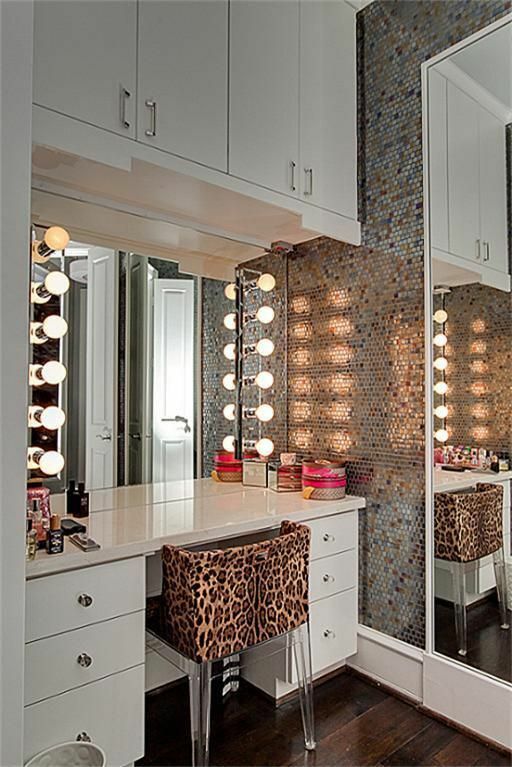 It is my dream to one day have an entire room in my home that is my closet equipped with vanity and all! Great picks! #4 has to be my favorite! 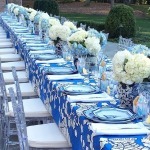 Love the elegance of it! One day I would love a space like this! 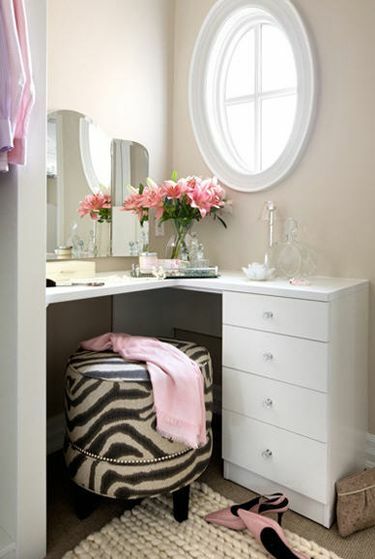 Nothing like a cute + girly vanity! 🙂 Great post, lady! 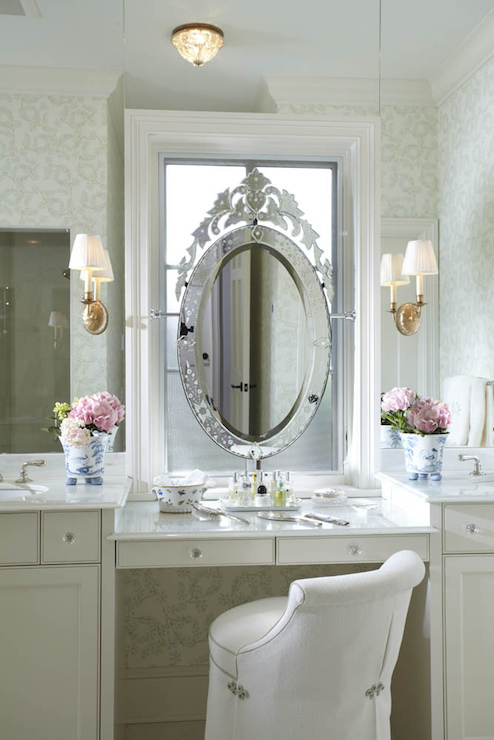 I love the corner vanity, especially that chair! I haven’t had a decent in so long and i have been thinking having one lately. This is very inspiring. Thanks for sharing! I’m glad you find this helpful! Thanks for stopping by dear!